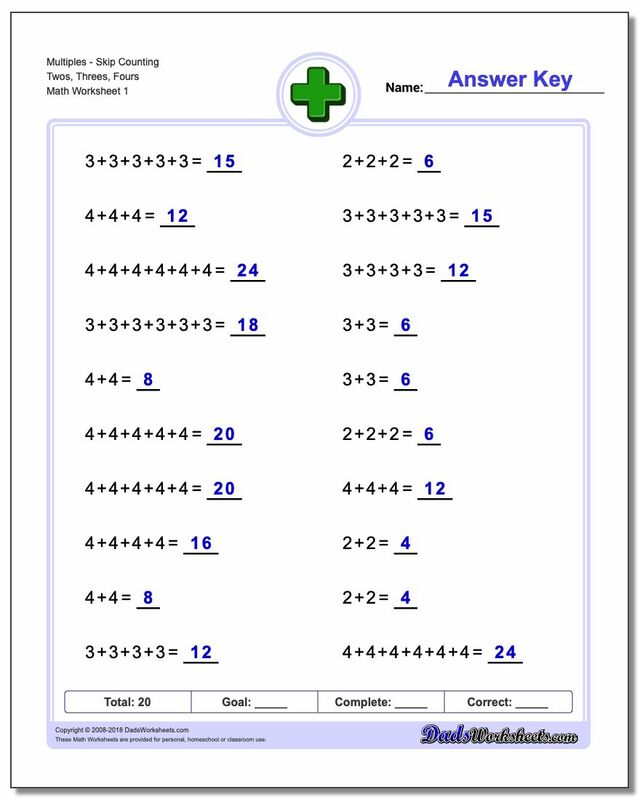 Addition worksheets that introduce multiples and skip-counting. 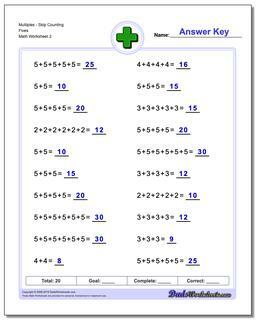 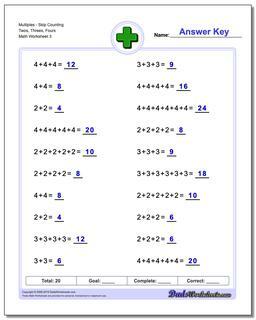 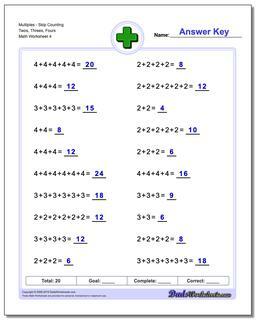 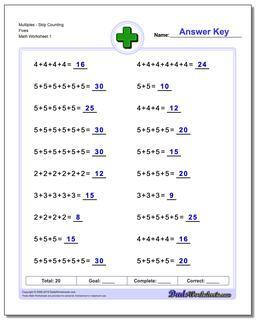 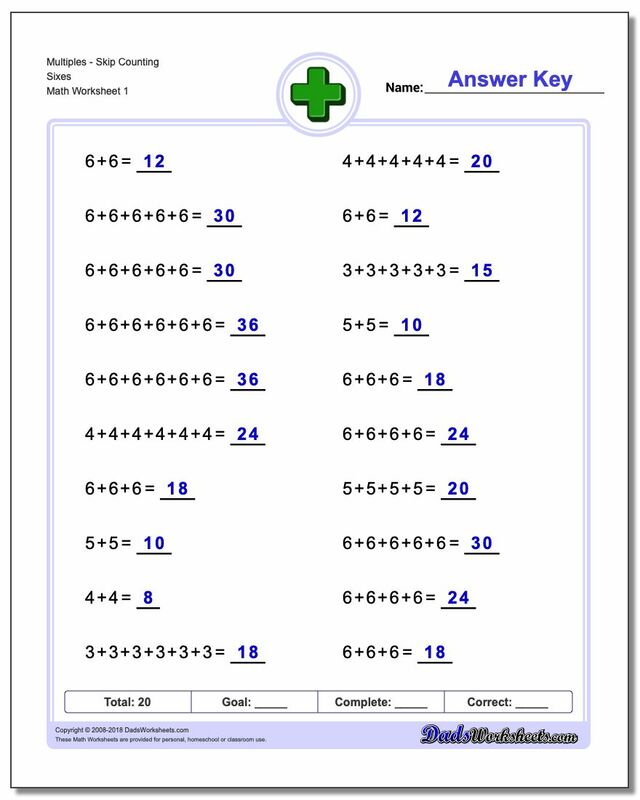 These addition worksheets are an excellent stepping stone to multiplication. 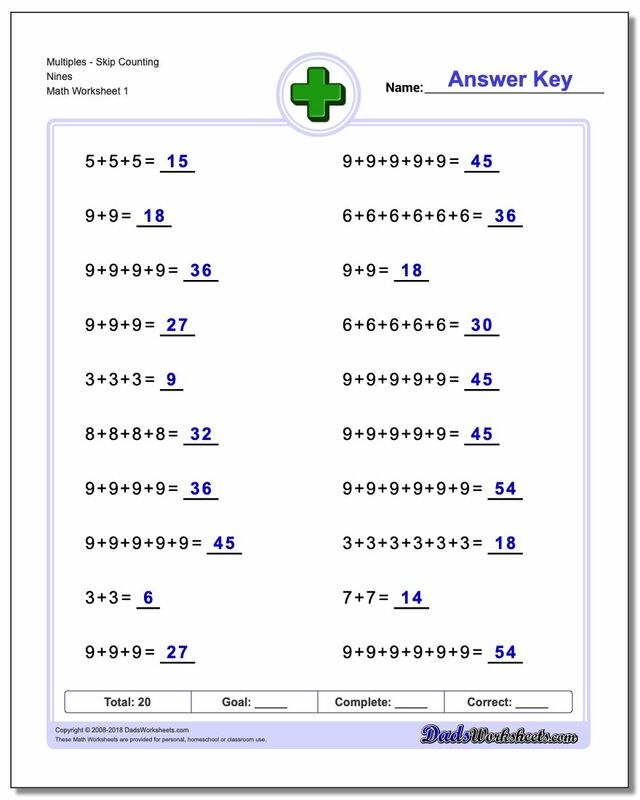 Transitioning to multiplication from addition is an important step in developing math fact fluency. 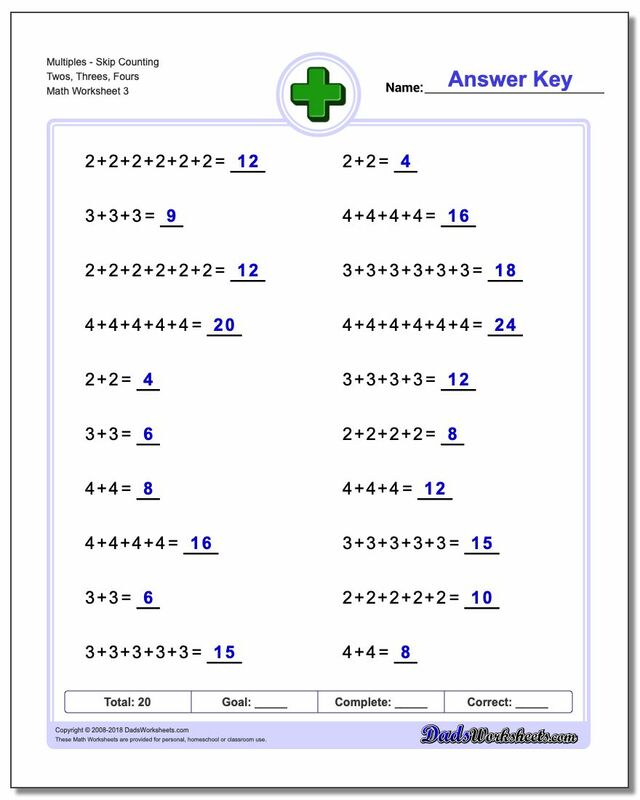 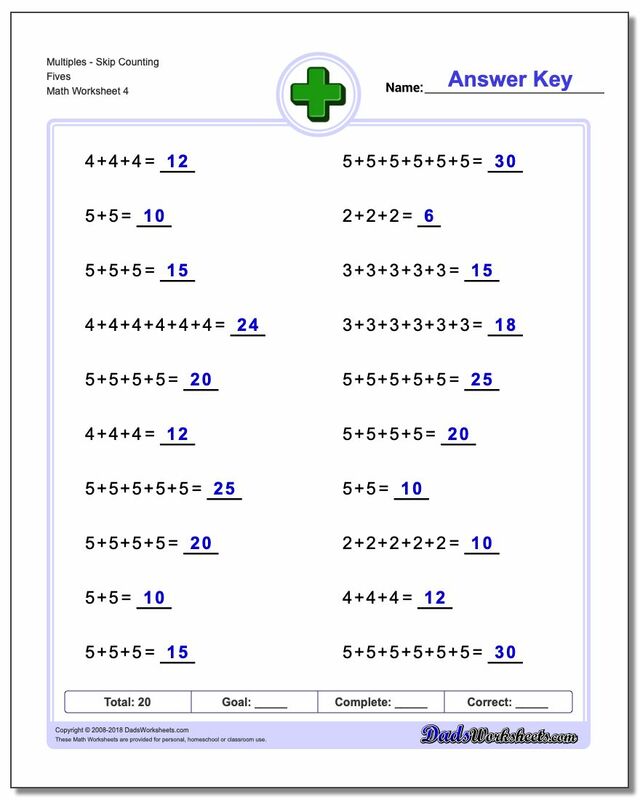 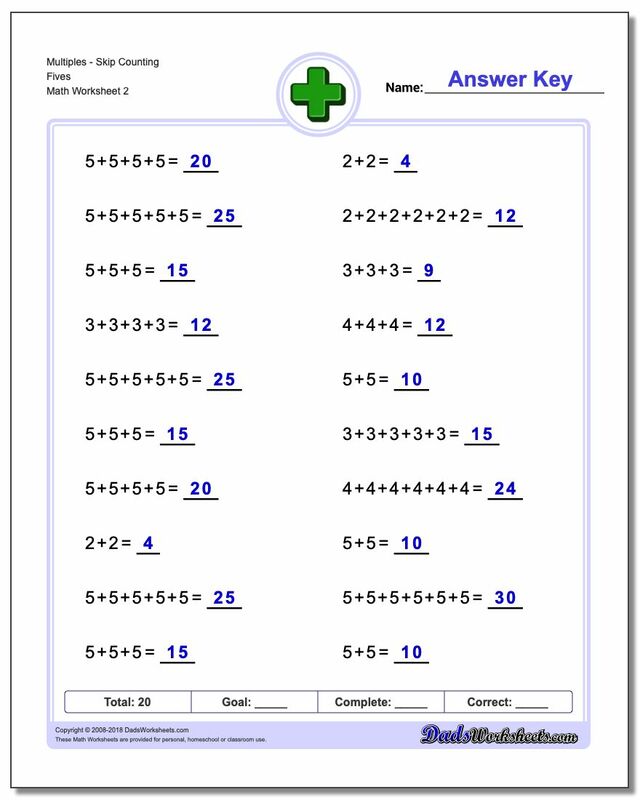 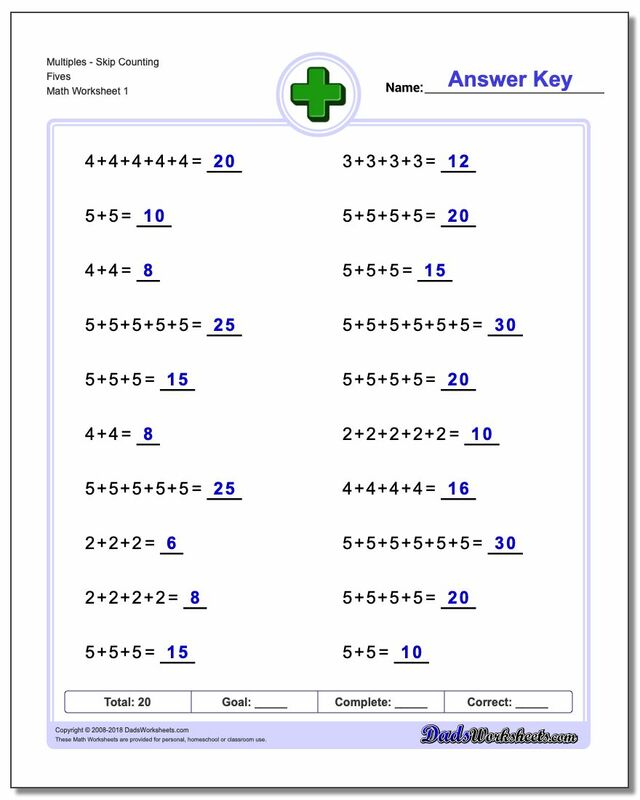 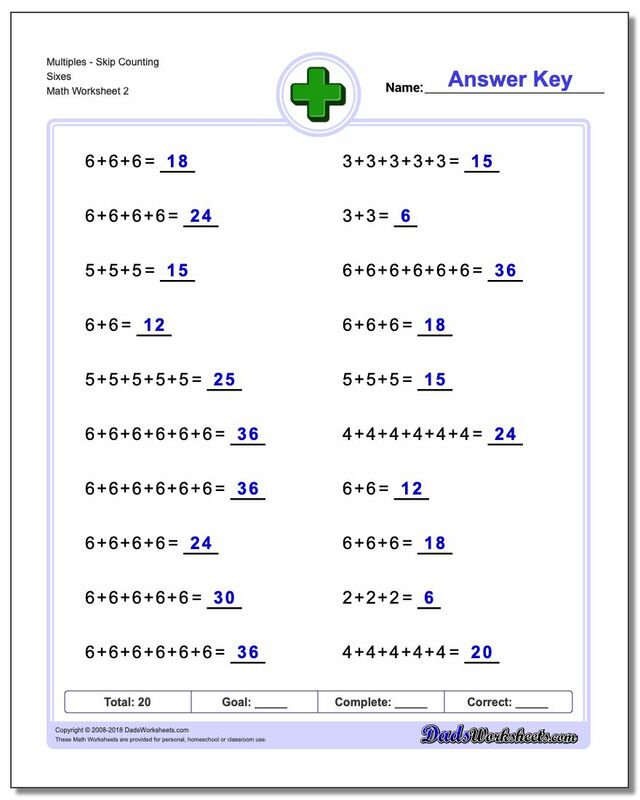 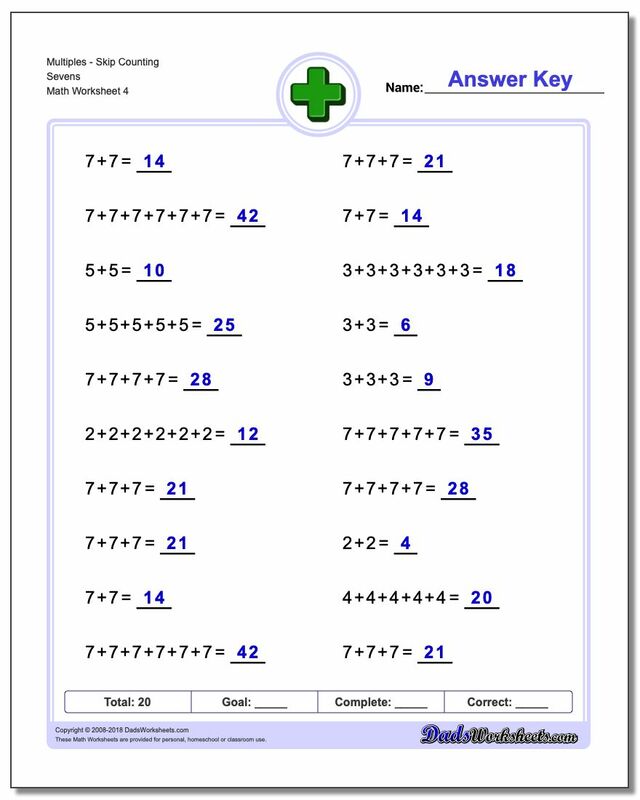 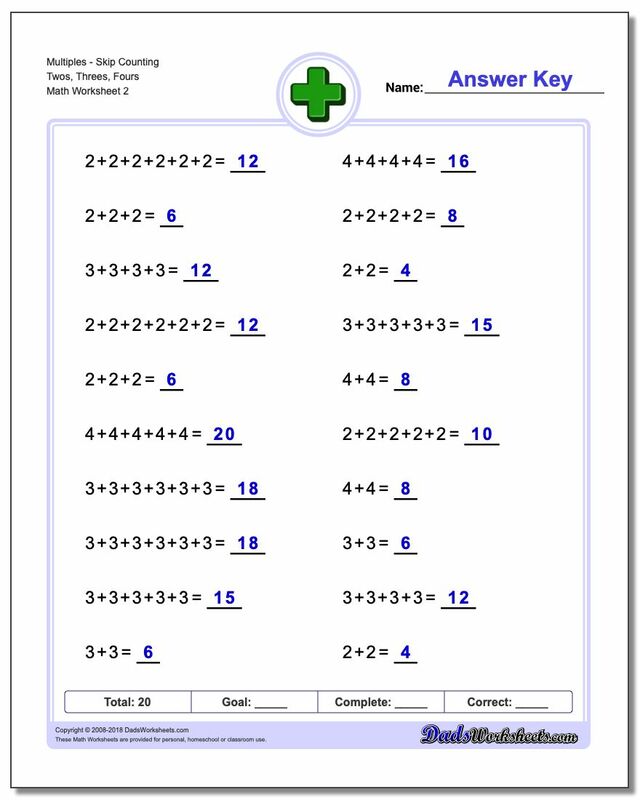 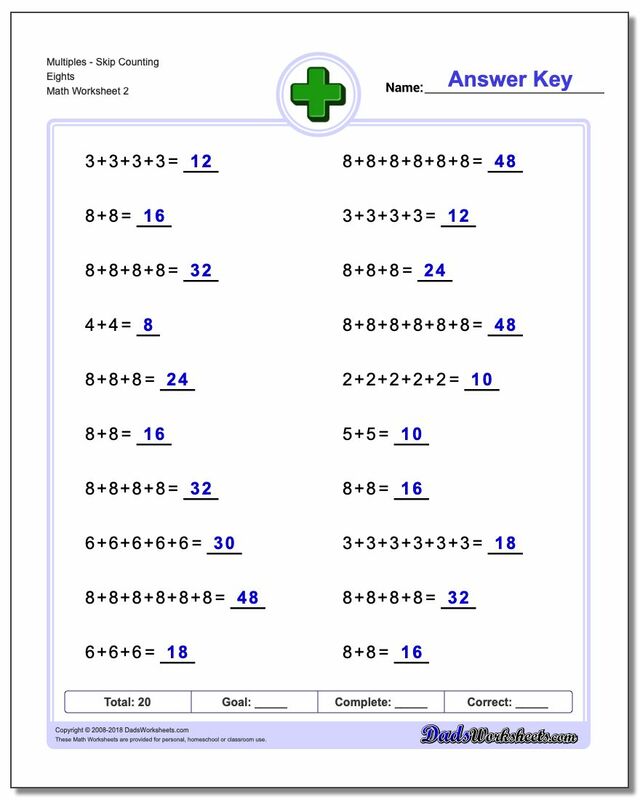 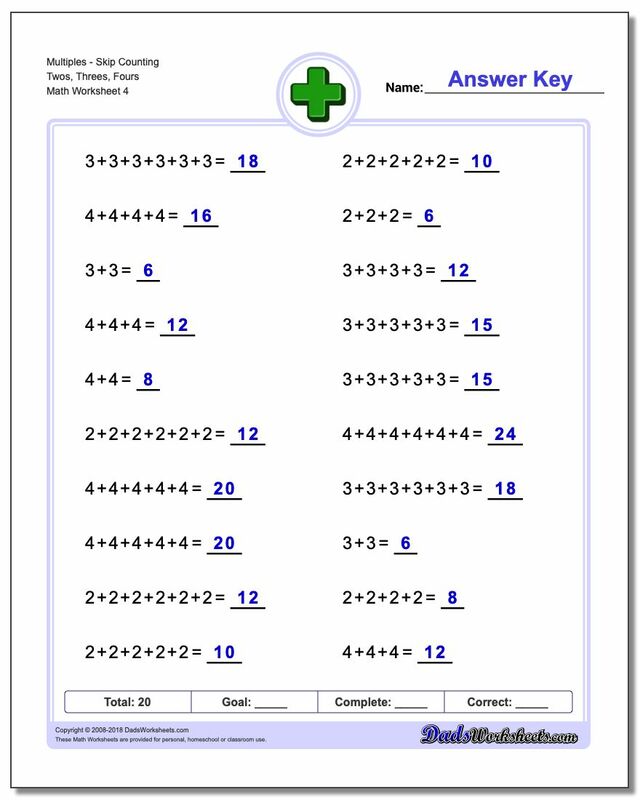 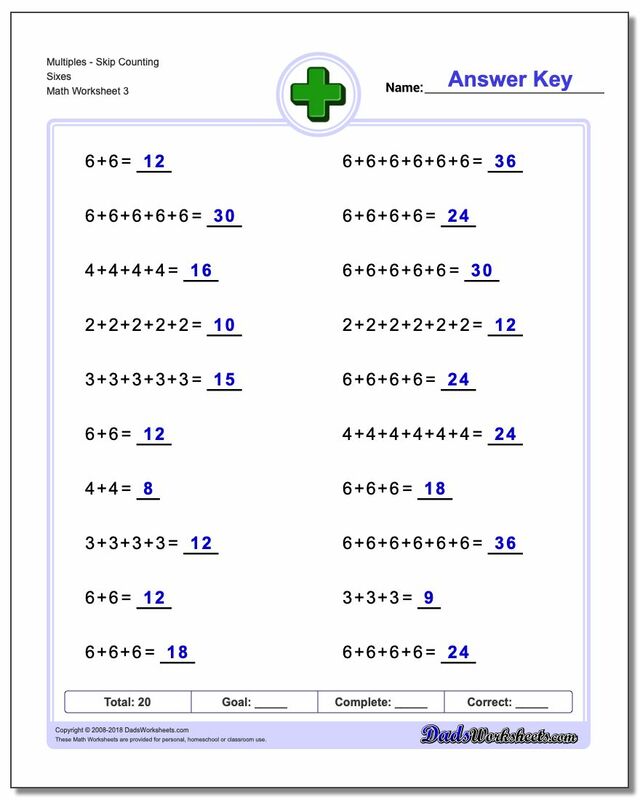 Learning to multiply by understanding that products can be computed by repeated additions is one strategy for understanding multiplication, and these addition worksheets are great skill builders if that's the approach you undertake. 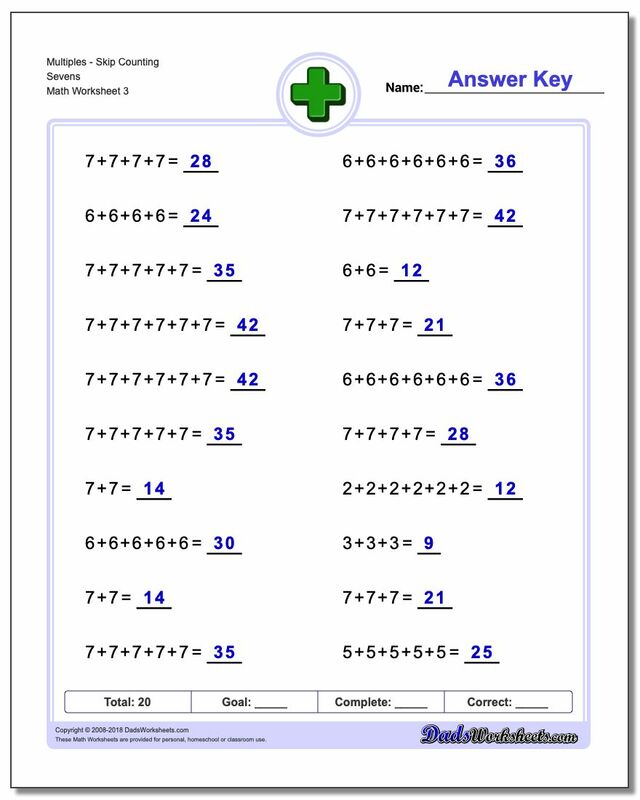 Another name for this strategy is skip counting. 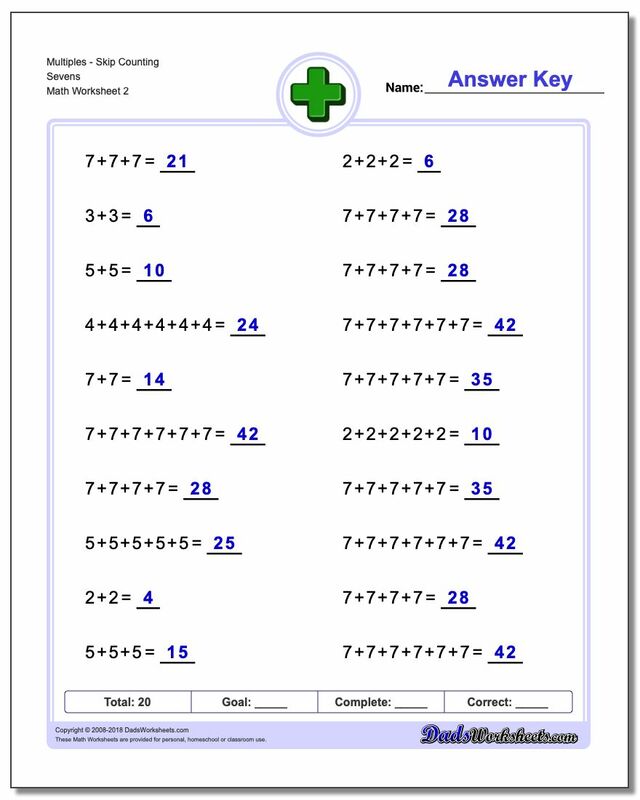 Each set of addition worksheets in this section focuses on a particular set of facts and adding multiples of a single digit. 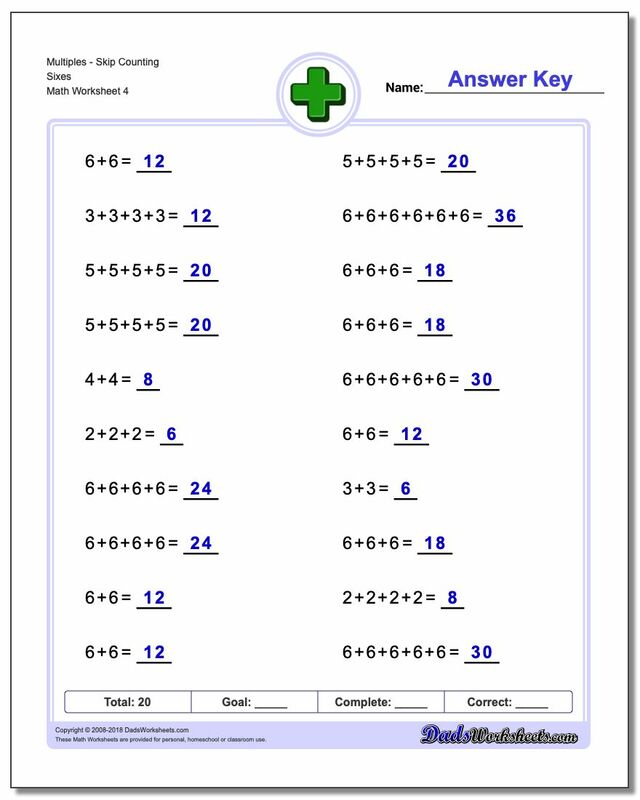 For example, the addition worksheets dealing with multiples of sixes will introduce facts from the six times table.